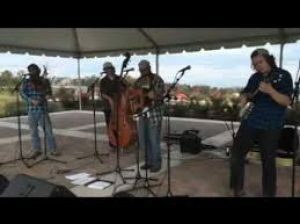 The Short Hill Mountain Boys play their own blend of bluegrass, old-time, cajun, classic country, and folk music with a rare passion. Their harmony vocals, fiddling, and guitar picking are tight and practiced like the suit-and-cowboy-hat bluegrass acts, but imbued with the authenticity, spontaneity, and infectious good time of old time mountain music, in which they are well steeped. The Short Hill Mountain Boys’ love of the music and skilled musicianship makes converts of audiences new to the genre and is sure to draw and impress aficionados.